Mother's Day in America (and New Zealand it turns out) is Sunday 12 May. Readers enjoyed my Christmas gift list, so I thought I would share a few ideas on what an active Mom might like this weekend as a gift. (The items on the Christmas list are still a good idea, no matter what the occasion). Many of these companies were founded by moms too! 1. New Whole Foods Encyclopedia by Rebecca Wood et al. This book gives info on how to select different foods, their healing properties, and how to prepare/store foods. There aren't too many recipes so think of it more as a reference book. It is something Mom can pick up when she feels inspired and not have to worry about having time to read it cover to cover. Or if Mom likes cooking, make her a personalized recipe book by printing out recipes you think she will like and adding your own photos. 2. Expensive gym kit Mom might be too practical and penny-wise to spend a ton of cash on a t-shirt to sweat in. But I can tell you the extra money is worth it. 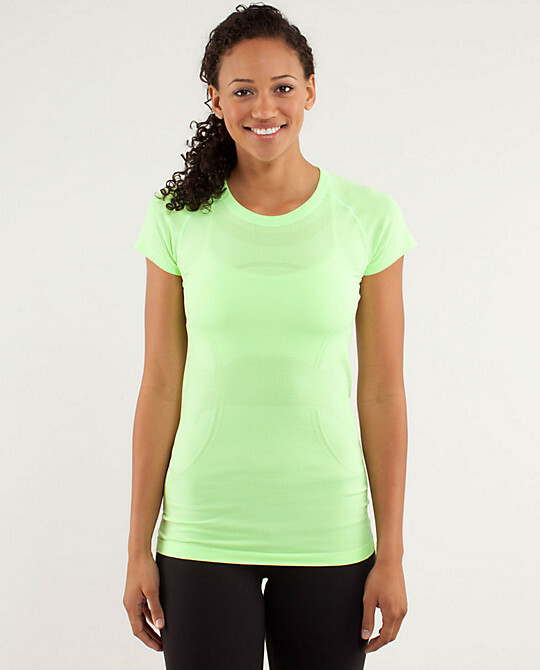 I suggest anything merino wool (such as Icebreakers) or the lululemon Run:Swifty Tech Tee. If you aren't sure of Mom's size, sneak a peak in her drawers and see what she already has. A gift card is flexible too. Feel free to ask other family members to chip in if you think this is outside your budget. 3. Beauty treatment Does your mom love getting her nails done but rarely take the time to head to the salon? Or does she always ask her partner for a neck massage while watching TV? Wold she enjoy some pampering? Use your observation skills (or ask her best friend) what method of pampering would make Mom the happiest. Avoid Groupon though as some salons won't be up to standard on cleanliness and customer service. 4. Podcasts Hypnotherapy is a great way for Mom to relax, give up sweets, gain confidence, or prepare for a natural childbirth. 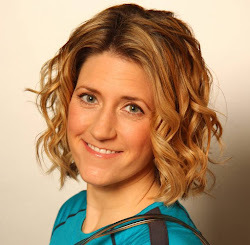 I enjoy Unstuck Thinking's podcasts (such as her moving meditation HypnoGoGo) while my friend Becca of From Snickers to Marathon swears by Thinking Slimmer. 5. Personal training sessions This is a tricky one You don't want Mom to feel overweight or out of shape. But if she tries to fit in gym sessions and eat well but isn't seeing the results she would like, one-on-one training could push her passed her plateau. It is important she finds a trainer she has a good rapport with. Find an establishment where there are several trainers she can choose from (with a free consultation) and invest in a training package. 6. 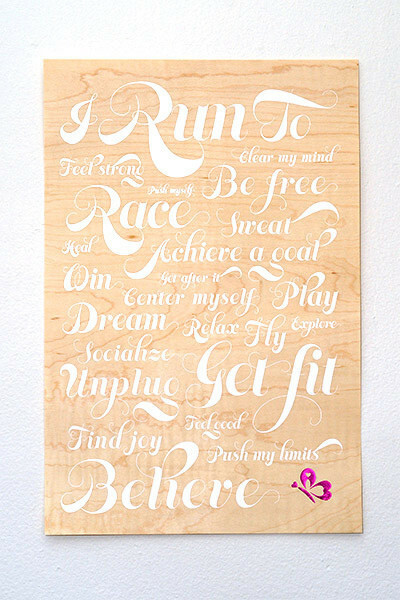 Reasons to Run fine art print Mom will love this natural wooden artwork with metallic print from Believe I Am. 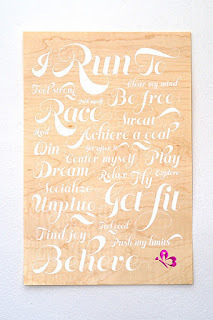 This gift shows Mom how much you believe she can achieve at home, at the gym, and at work. It can inspire everyone in the family when they need a bit of motivation to get outside. 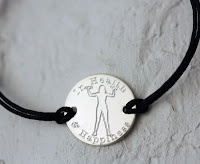 Believe I Am using sport psychology techniques to motivate and support aspirational women with clothing, jewelry, and other gifts. 7. Betty Designs Dream Tankini Usually I would say bathing suits are not good gifts for anyone. However, I love Betty Designs use of butterflies and skulls to create a balance of femininity but also 'don't mess with me attitude.' This tank is multi-sport so mom will only need to pack this for family trips to cover many activities (yoga, swimming, triathlon, beach time). The only thing I would suggest is to allow Mom to select her own bikini bottoms. 8. Bonus gift for everyone to enjoy Think about including a little something as a bonus for mom, such as a small food treat or travel size game. If Mom is NOT allergic to nuts check out Nutzo organic nut and seed butters (Omega-3 rich, with or withour peanuts and in chocolate!). As for a game, Bananagrams is fun for all ages- both those who know their letters or those still learning. 10. Anything from Green People This company offers organic and natural beauty products for men, women and children. With my skin allergies, it is now my go-to for shampoo, lotions, and makeup. Green People has also been very supportive of PT Mollie too, for which I am grateful. I recommend the self-tanning lotion. 11. Homemade art and coupons Never underestimate a gift made with love. Draw Mom a painting of the family, write her a poem why you love her, or make her coupons for date night/free baby-sitting/breakfast in bed/control of the television. Be creative! What are you getting your Mom? If you are a Mom, what would you like? Feel free to comment below. We here at PT Mollie wish all the mothers, aunts, grandmothers, and positive female role models out there a wonderful Mother's Day. Big hugs and high 5's all around! My "In health and happiness" bracelet is a positive reminder daily. It is light weight and a perfect gift!